The KT&C KR-200 HD-SDI repeater is a great product that allows you to not only extend your HD-SDI video line transmission, but to extend it up to 120M more! 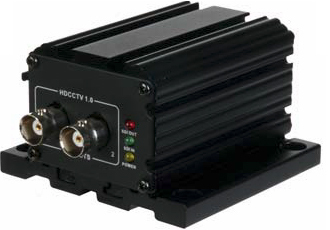 This HD-SDI repeater has 1 video input and can split into 2 video outputs for greater versatility in your HD-SDI surveillance system. Additionally the KT&C KR-200 has both 12VDC and 24VAC power input capabilities and it is made to last in your surveillance applications. ← See The Carcam-SD Car Camera in Action!